MOQ: According to the products ,can be negotiated. 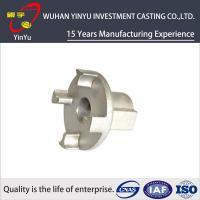 Metal Parts Solution for Vehicle, Agriculture machine, Construction Machine, transportation equipment, Valve and Pump system. E.g. 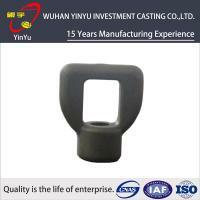 Engine bracket, truck chassis bracket, gear box , gear housing , gear cover, shaft, spline shaft , pulley, flange, connection pipe, pipe, hydraulic valve , valve housing ,Fitting , flange, wheel, flywheel, oil pump housing, starter housing, coolant pump housing, transmission shaft , transmission gear, sprocket, chains etc. 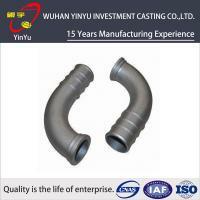 Carbon steel, Low Carbon steel, middle carbon steel, G35, G45, WCB, WCA, WCC, ISO 340-550, Zg25 Zg35 Zg45 ​,etc. 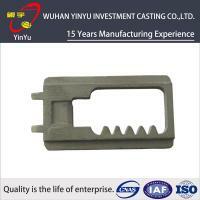 Alloy Carbon steel: G25CrMo4, Heat Resistant Steel, etc. Stainless Steel: SUS 304, 304L, 316, 316L, CF8, CF8M, G-X7CrNiNb1189, etc. 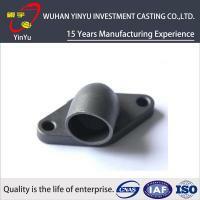 CNC Machining/ Lathing/ Milling/ Turning/ Boring/ Drilling/ Tapping/ Broaching /Reaming /Grinding/Honing and etc. 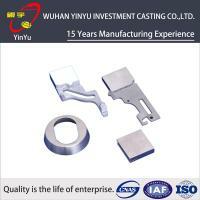 Normalization , annealing, quenching and tempering, Case Hardening, Nitriding, Carbon Nitriding, Induction Quenching. 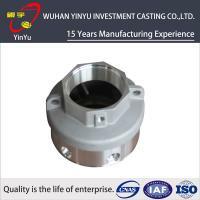 Shot/sand blast, polishing, Surface passivation, Primer Painting , Powder coating, ED- Coating, Chromate Plating, zinc-plate, Dacromat coating, Finish Painting. 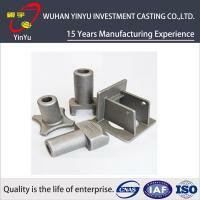 about 50days from the receipt date of China Steel Cast Foundry Custom Casting Small Metal Parts. A professional manufacturer& supplier silica sol process—a high level wax lost casting process in a wide variety of materials, including super alloys, stainless steel, alloy steel and carbon steel. 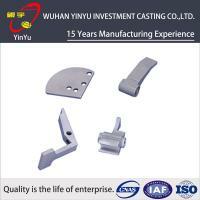 OEM investment casting small parts service can reach different customers’ specific requirements. 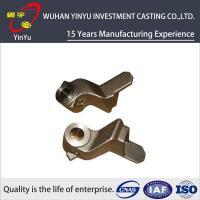 Applied in almost the entire range of mechanical manufacturing, including precision machinery, medical devices, aeronautical engineering, chemical and bio-engineering, high-grade metalwork products and so on. A: We are glad to send samples for your inspection. Standard samples can be free, but you may need to pay the express fees.